Tetons East and West, a set on Flickr. Take A Stand, a photo by James Neeley on Flickr. 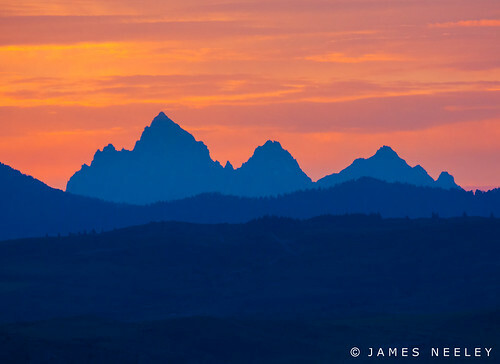 The Teton mountains are beautiful no matter what the viewpoint; here seen from the foothills east of Idaho Falls at sunrise.